The Western Australian Government has invested in a variety of projects aimed at investigating the development of non-lethal shark detection and deterrent technologies to further protect WA beachgoers. Clever Buoy is a near shore shark detection system developed by Western Australian company Smart Marine Systems. City Beach, in the Town of Cambridge was the site of a Clever Buoy trial, conducted from December 2016 to March 2017. The system was designed to detect sharks using sonar technology and identification software to relay information to lifesavers. The system was located within 300 metres of the shore and configured to notify responders of any shark, two metres or greater in length. City Beach was chosen for the trial as the two groynes provided an ideal geographical site and the popular beach is patrolled daily by Surf Life Saving WA. Six sonar transducers were placed on the sea floor between the groynes at City Beach. Each transducer had a detection range of up to 80 metres. Two solar-powered surface buoys provided power and communication functionalities. Detection information was integrated into our existing communication platforms including the SharkSmart activity map and SLSWA twitter feed. The trial identified that sonar technology has the potential to be effective for shark detection in some circumstances. However, there were a number of limitations which would need to be addressed prior to any future deployment of the system as a robust, real-time notification tool. The Western Australian Government committed $1.9 million to support the Applied Research Program – Shark Mitigation that funded eight research projects since 2012. Independently test and improve existing shark deterrents, including the widely known product, Shark Shield. The Shark Shield Freedom 7™, designed for divers, had a significant effect in deterring a range of shark species, including tiger sharks and white sharks. The study found that the Shark Shield Freedom 7™ produced an effective deterrent field an average of 1.3 m from the device’s electrodes. It was found to prevent white sharks from interacting with a static bait 10 out of 10 times on their first approach. It was only after subsequent approaches that the rate dropped slightly to 9 out of 10 times, showing signs of habituation to the Shark Shield Freedom 7™, which decreased the effectiveness of the deterrent field by an average of 12 cm per approach by the same shark. However, despite an increase in tolerance, white sharks continued to be deterred from biting or interacting with the bait if an active Shark Shield Freedom 7™ was present. Develop and test new novel deterrents such as bubble curtains, underwater sounds and strobe lights. Some bubble curtain arrays were effective in deterring sharks, but only for a very short time, after which the sharks become accustomed to the bubbles and did not hesitate to cross the bubble barrier. However, altering the presentation of the bubbles resulted in improved effectiveness in deterring sharks. Loud underwater sounds (both artificial sounds and natural orca calls) were not effective at deterring small sharks in the laboratory and were only a limited deterrent in the wild. Bright flashing (strobe) lights can be effective as shark deterrents and do deter a range of shark species from biting. However, the effectiveness of strobe lights appears to be restricted to strongly nocturnal and/or benthic shark species. The electric anklet device did not have a significant effect in deterring any shark species tested, including tiger sharks and white sharks. Define the actual visual, electrical and vibrational (sensory) cues that trigger shark attacks. Sensory systems play a central role in guiding animal behaviour. They can be manipulated to alter behavioural outcomes to limit negative interactions between humans and animals. In this study, the effects of an intense strobe light and a loud, artificial sound composed of mixed frequencies and intensities on shark behaviour were assessed. When presented alone and in combination with sound, the lights reduced the number of times that the bait was taken by both Port Jackson and epaulette sharks in captivity. The strobe light alone did not affect the behaviour of white sharks, but when presented in combination with sound, white sharks spent significantly less time in proximity to the bait. The lights and sound presented in this study did not show a pronounced deterrent effect on white sharks, however, due to the potential effectiveness of strobe lights in deterring other species of sharks, there may be applications for this approach in the reduction of fisheries bycatch. Develop computer algorithms for real-time, automatic shark detection. A system has been developed that is powerful enough to detect, identify and track sharks from aerial videos, and distinguish sharks from other marine objects such as swimmers, boats and dolphins. The system also allows shark detection and tracking under challenging imaging conditions such as low light, strong sun reflections, poor contrast and fog. The success of the research has enabled continued research into automatic shark detection and tackling the more general problem of visual recognition of marine species. Develop new surfboard fins with an in-built electronic shark deterrent. 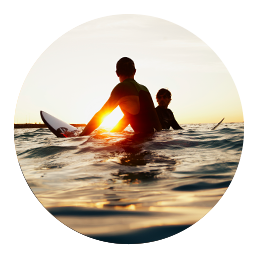 This shark deterrent solution for surfboards utilises the same technology as the Shark Shield personal shark deterrent device for divers. The technology creates an electrical field that repels sharks when they come into contact with it. The orriginal concept of using the surfboard fins as the source of electrical field evolved into using an adhesive decal antenna on the underside of the board to produce the field, with a power module that sits in the kicker of a custom designed tail pad. The retail product Ocean Guardian Freedom+ Surf (Bundle) is an approved personal shark deterrent device and eligible for a shark deterrent rebate when purchased from a registered retailer. Research sonar imaging and detection of sharks. An imaging sonar was used to observe sharks of 1.4-2.7 m length, at ranges from 1-50 m, in various water depths less than 15 m. Within 5 m, shark shape, length and swimming action were readily discernible. However, as range increased, knowledge of movement patterns was required to discriminate a 'shark-like' object, before the shark became purely an acoustic target at greater ranges, where visual confirmation of the target was necessary for identification. Once the seafloor is ensonified by the acoustic beam, seafloor backscatter can dominate the image and mask shark detection. The results presented concur with other active acoustic detection studies that, for a given frequency and noise level, maximum detection and identification ranges are reliant on system source level, beam pattern, bathymetry, and target size and acoustic reflectivity. This study has provided some estimates of likely ranges at which a shark could be detected with a 'low-power', wide-beam imaging sonar under conditions similar to those of the WA coastline. Develop systems that mask noises of beachgoers (including swimmers and surfers) that may attract sharks. The project characterised noises produced from swimming, surfing and kayaking that are detectable by a number of large shark species, then compared shark behaviour when the human noises are detectable to when they are masked, to see if masking typical swimmer noises could be effective at disrupting detection of humans. Develop an acoustic system to detect sharks as they approach beaches. The project will test an acoustic system to detect sharks as they approach Perth beaches. The system was developed to provide larger coverage areas than traditional shark nets, more efficiently and at a more economical rate to operate than traditional sonar. This ‘virtual net’ senses large marine creatures as they approach, and sets off an alarm to warn swimmers. The project is currently active, with the final report due in May 2019.